Boardcrafting: the story of my handmade game boards and accessories. I have been documenting my journey on this blog. Starting from the days of inception and inspiration, through the launch of my Kickstarter campaign to this very day. Beyond just my story, I dream of creating a forum and meeting place for likeminded creators. For people who are likewise gripped by a passion for creating beautiful pieces to enhance the playing of games. I really love your idea and design, there’s just one thing I thought I’d suggest… could you etch a slight circle into the centre of the desert piece so that the soldier sits perfectly in the middle like it will in all the others? Even once the soldier has moved the desert will still look consistent with the other pieces (that all have circles in the middle). You ever consider making wooden tiles for the game of Carcassonne? Since these catan tiles rock and I would be even more happy to see Carc tiles! Nice work, Martin. I’d love to make a blog post about your projects. Mind if I take a couple images from your site? I’ll soon be setting up an online store at boardcrafting.com, but unfortunately I can’t fill any more orders for Christmas, I’m already rushing to get my current Christmas orders ready. Once you set up boardcrafting.com, I would like to place an order for one of your top-of-the-line game set configurations once you’re ready to take orders. Please let me know when you get to that point. Thanks. P.S. Does your board set-up also work well with all the expansions for Settlers of Catan? If not, which ones is it compatible with? Along those same lines. I had planned on supporting your Kickstarter project by purchasing the vector files, but forgot. Whoops! Is there any way to do that now? Or will you have the vector files available on the online store? I can get you the vector files now. I’ll email you privately with details. I was very disappointed to find that I found these too late for Kickstarter! Any chance I could get the vector files now? I’d like to try my hand at making a board as a gift for my mentor teacher in my teaching program. 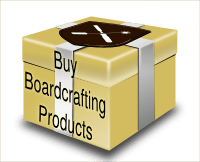 You can just visit my store, http://shop.boardcrafting.com. Or just send me $25 by Paypal directly. I love your design! I was disappointed to see that I was too late for Kickstarter… any chance I could still get a hold of the vector files? Will they eventually be available in the online store, as Caitlin Weber asked? These are awesome! I’m looking into finding a laser cutter so I can make some myself (with your vector files, of course). Can you give me any indication of how long the whole process takes? Also, from the pictures it looks like the pips fit tight into the tiles, and the tiles fit tight into the board. Is it hard to separate the pieces after a game? And will you have cities and knights pieces as well? I can’t wait to see more of your amazing work! Laser cutting varies with the material and power of the laser, but for me, it takes about 1.5 hours per set. It’s not hard to separate the pieces from the frame because the backing is soft and allows you to push the pieces up from behind. I’m working on a few Cities and Knights pieces. Check the blog for updates as they come. Is it possible to do a frame for the seafairers expansion ? The Seafarers expansion allows many different map configurations. I don’t really have a vision for a frame that would work well with all the different Seafarers configurations. I am working on a 5-6 player expansion frame, though! I love your board! Is there any way for you to laser into some aluminum sheet! We all love playing but we have gone through 2 sets from spillage and other party fowls! I would love to see a version made from a water proof tough material like a metal or a plastic of some sort! Let me know if you would be able/willing to do something like that and how much it would cost, PLEASE!!!! Would love to see the 5-6 expansion board also! Hi John. I don’t have the means to laser cut metal right now, but I know there are people who sell plexiglass frames. I don’t know about tiles and pips. I can tell you that the “Set” products at my store (Birch Set and Fancywood Set) are finished with lacquer. While not waterproof, it does give them the same resistance as some wooden furniture. Beautiful work. Will you expand your game options? May I recommend Monopoly or Risk or Scrabble? Which designs for tiles and pieces are included in the vector pack? is it only the base set or are the 5-6 player expansion and the seafarer designs included to? 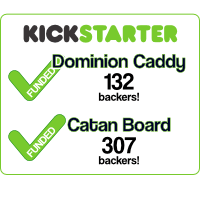 Right now, the vector art sold at http://shop.boardcrafting.com only contains plans for the 4-player version of Catan. I hope to have some new products for the expansions before 2013 is over! Do you have any immediate time frame of the new products? I am specially interested in the seafarer expansion because I want to make a “copy” for a birthday present for my girlfriend. hi Shandy. how will the new vectors be up for sale? as part of the base pack or as a new vector packages only with expansion parts? Hi Simon, my current plan is to put the Catan and Dominion artwork together in one package. Really wish you guys made card deck holders. Was wanting to purchase one of your dominion caddys in the Celtic knot design. Noticed your website said “out of stock”. Please can you advise when stock will be next be available? I am wanting to purchase your hardwood catan set but I am wondering if you can make it in the 6 player version? We have a regular game night and always play on the larger board. Please let me know if that is possible and what the cost would be if so. Hi David, thanks for your interest! I’ve stopped manufacturing boards, but with a maker space, or by finding a local laser cutter shop in your area, you could use the plans to make your own.